Manufacturer of a wide range of products which include pneumatic conveying systems, pneumatic conveyor system and distance pneumatic conveyor. 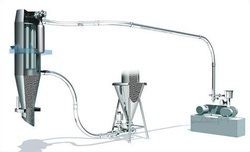 We offer Pneumatic Conveying System with two inlets that are manufactured using high grade raw material and serves as the most versatile and speedy method of transferring bulk material within a defined area. The selection of the method depends on the type of material, its characteristics, distances involved and environmental attributes.Our products are available at affordable rates and we provide timely service to our clients. Pneumatic Conveyor System offered by us is a single, robust & automatic system that is used for maintaining material velocity & line loading where it should be, for the air source available. These System are also designed to successfully overcome the problems related to pipeline plugging from material velocities that are too low/ pipelines that are too heavily loaded in comparison to pressure potential available at the air source. Distance Pneumatic Conveyor offered by us is a single, robust & automatic system that is used for maintaining material velocity & line loading where it should be, for the air source available. 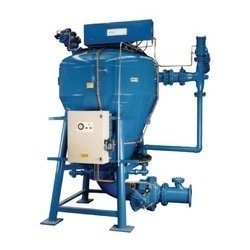 These System are also designed to successfully overcome the problems related to pipeline plugging from material velocities that are too low/ pipelines that are too heavily loaded in comparison to pressure potential available at the air source. 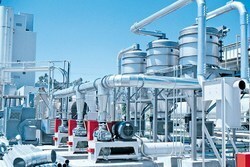 Looking for Pneumatic Conveying System ?